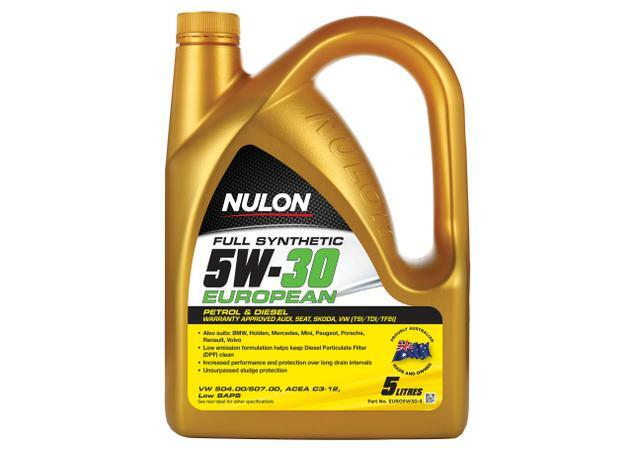 Nulon Full Synthetic 5W-30 EUROPEAN Engine Oil is approved under VW Standard 504.00 and VW Standard 507.00 for Volkswagen, Audi, Skoda and Seat petrol and diesel vehicles within manufacturer warranty periods. PAO base stocks matched with advanced high performance additives create the ultimate engine oil for these modern European engines during long drain service intervals. 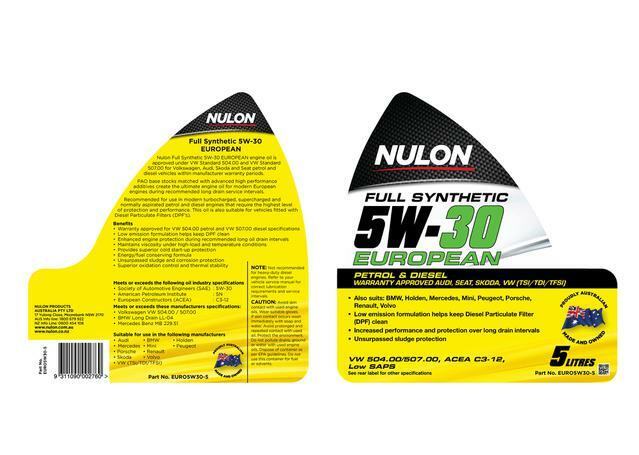 Recommended for use in modern turbocharged, supercharged and normally aspirated diesel and petrol engines that require the highest level of protection and performance. 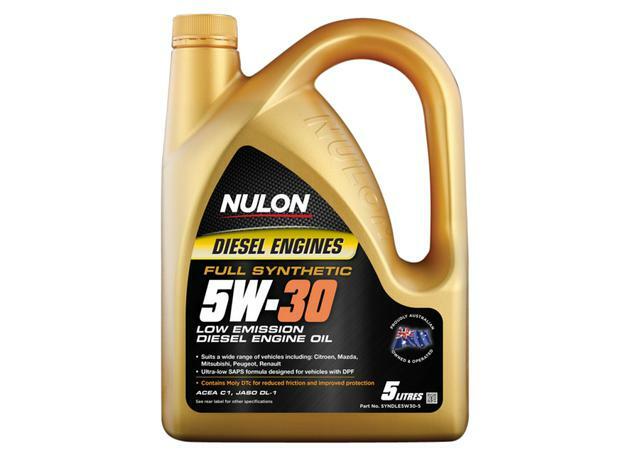 This oil is also suitable for vehicles fitted with Diesel Particulate Filters (DPF's). NOTE Not recommended for heavy-duty diesel engines. Refer to your vehicle service manual for correct lubrication requirements and service intervals. Recommended for and exceeds VW 504.00 petrol and 507.00 diesel specifications. Suitable for modern diesels fitted with Diesel Particulate Filters (DPF). 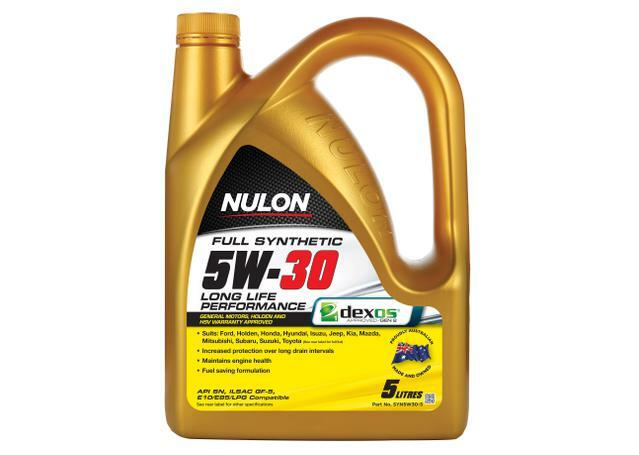 Enhanced engine protection during recommended long oil drain intervals. Fuel conserving formula.